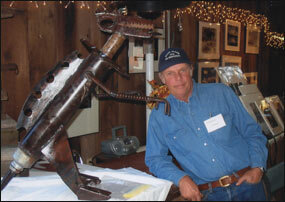 richard crane is a past member of sonoma county artrails and has exhibited his work in many bay area art shows and galleries, always to rave reviews. Richard H. Crane is a fifth generation Sonoma County farmer. 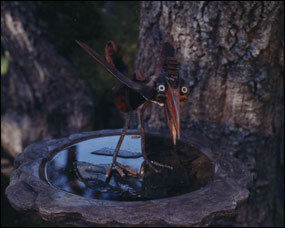 But when he is not raising the famous Crane Melon, he is creating his famous metal sculpture. 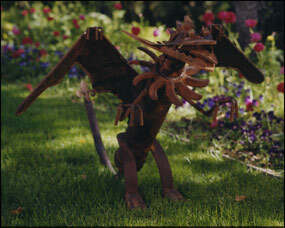 His unique art form incorporates his welding skills with his vast knowledge of antique farm equipment. 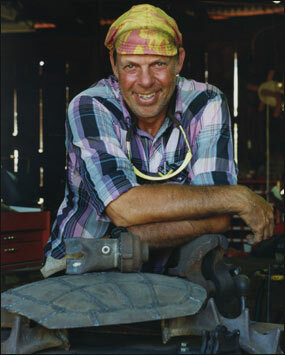 Most of the material he uses is recycled farm equipment gathered when repairing and renovating equipment. Many of the parts he uses are rare and hard to find, making each sculpture a one of a kind original. Through pre-visualization, Richard is able to see the end product in his pile of scrap metal and bring his images to life. 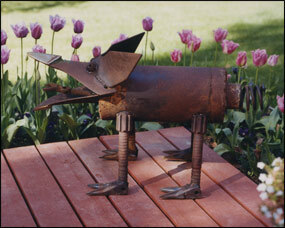 His fertile imagination has led to a variety of creatures constructed from 160 years of Crane Canyon Ranch farm machinery parts. The result is whimsical and entertaining, with each piece displaying an extraordinary personality all their own. 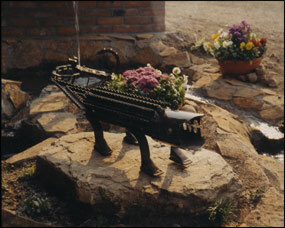 His work enchances the home, patio and garden.